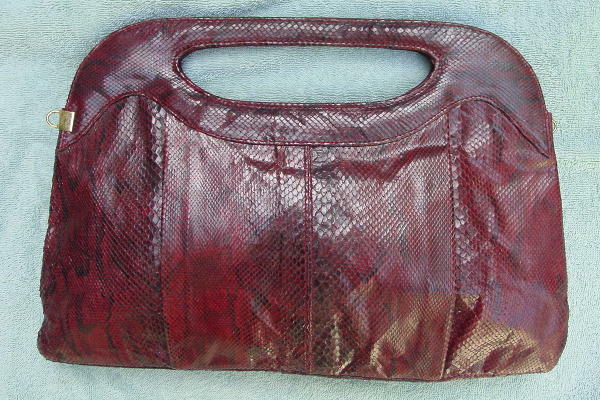 This vintage red, burgundy, and black snakeskin purse was made in Spain by Rowelt and originally sold at Burdines Florida. 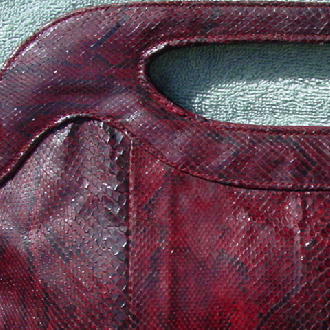 It has its own handles and a detachable 30" matching snakeskin shoulder strap. The lining is in light maize fabric with Rowelt printed all over in brown. 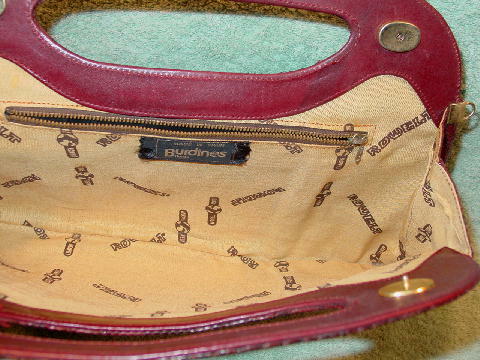 The interior zipper pocket is lined in brown fabric. There are 2 snaps (to the sides of the handles) at the top which close the purse. There is a wide panel, resembling a large pleat, in the center, both front and back. 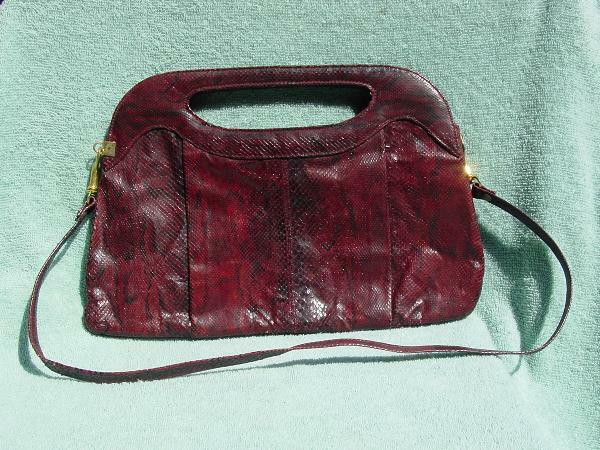 It's a cool looking purse - very sophisticated with its '70s detailing. If you really want to make a fashion statemnt, detach the strap and hold the purse. It came from a stylist's personal collection. It was used years ago for a magazine shoot.